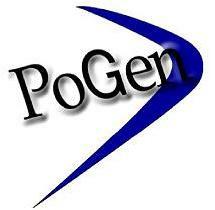 Pogen V Pte Ltd was established in Singapore since 2004 by PT. Trias Indra Saputra to be the Regional Office. The Group is established since 1987 and is the market leader for Manufacturing of Cable Support System (Cable Cable tray, Cable Ladder, Multitray and Strut System / Unistrut Channel). We has been the preferred suppliers with some of the well recognised major players in the Oil and Gas, Petrol Chemical, Marine and Industrial Sectors in the World. The Trust Level achieved by the Company has been the main reason that this Company continues to grow even during a very trying times in 1998 when the Asian Economic Crisis hits Indonesia and the Region. Our Product achieve has been manufactured according to International Standard of Quality as our manufacturing plant has already achieve ISO 9001: 2000 ISO 14001 and OHSAS 18001 and our products has been certified by third party certification body such as Llyoid Certification.